The Republic of Ireland may be intimately associated with the Roman Catholic Church, but the fastest-growing faith on the emerald isle is Islam -- at such a rapid rate that Muslims are projected to replace Protestantism as the second-most popular religion by the year 2043. Ireland's Central Statistics Office reported that between 1991 and 2011, the percentage of Irish residents who were Muslim jumped from 0.1 percent to 1 percent (equating to about 49,000 people). By 2020, Ireland’s Islamic population will more than double to at least 100,000. The increase is attributed to both immigration and population growth. The second fastest-growing faith in Ireland is Orthodox Christianity, largely due to immigration from Eastern Europe -- doubling in just five years between 2006 and 2011 to more than 45,000 people. The Census figures also indicated that 84 percent of the Irish population identify as Catholic, down from 91.6 percent in 1991. Moreover, only about one-third (34 percent) of Catholics in the country regularly attend Mass. Protestants now account for just 5 percent of the population. Part of the reduction in Christians in Ireland may be attributed to a dramatic increase in the number of people who claim to believe in no organized religion -- having surged by 400 percent between 1991 and 2011 to almost 280,000 people. 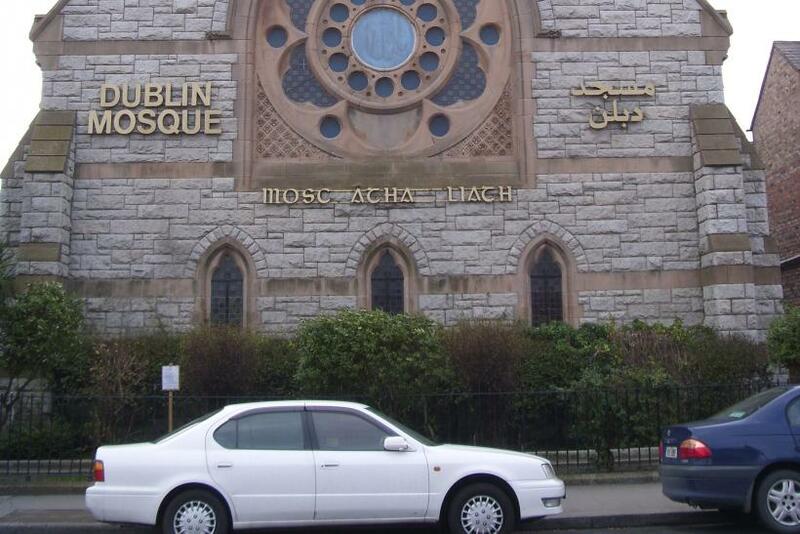 As their numbers climb, Muslims in Ireland have embarked on projects to build more mosques, including a new $50 million complex in north Dublin that will commence construction in 2014 and become the country’s largest mosque. Illume Magazine reported that the new mosque, at the Clongriffin Centre, will be large enough to hold more than 3,000 people and feature two minarets, a prayer hall, a cultural center, offices, bookshop, a library, a mortuary, a 600-seat events center, school and even a fitness center and apartments. Muslims in Ireland are also free to wear the veil and hijab, unlike in France. The Irish Independent newspaper reported that Muslims are also increasing in number due to religious conversions by Irish Catholic citizens -- some 500 people convert to Islam annually in the country. For some reason, the majority of these Irish converts are women. "When people [convert], they can be very enthusiastic," says Dr. Ali Salem of the Islamic Cultural Centre in Clonskeagh, Dublin. "We teach a moderate understanding of Islam, and we also teach them [converts] how to change their lives gradually." Irish converts receive guidance from groups like the Muslim Sisters of Eire, an organization run by Irish Muslim women. One of these converts, a 36-year-old Irish woman named Aishah (formerly Liza) Caulfield, explained to the Independent how she arrived at the doorstep of Islam. “I come from Irishtown in Dublin [postcode] 4, born and bred Irish,” she said. “I became interested in Islam around 12 years ago. My lifestyle wasn't typically Irish on the social level. I wasn't going to nightclubs and I wasn't into drinking. I always wondered if there was a group of people out there who had a quieter lifestyle, a faith that matched how I lived my life.” Aishah noted that Islam provided the missing piece to the puzzles she was looking for. She converted three years ago and married a Muslim man last year from Mauritius.